Haven’t as busy in the studio this week as I’d like to – too hot! Popped out and bought a fan which has helped a lot though. Thanks to the crafters who came and coped with the heat on the hottest day of the year! 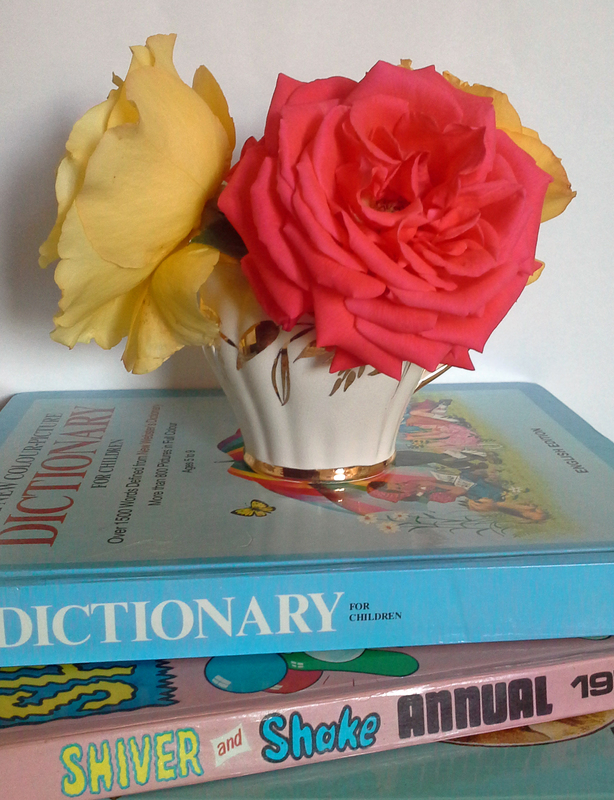 Bought some of the beautiful roses from our garden inside- it’s a shame you can’t smell them too! !